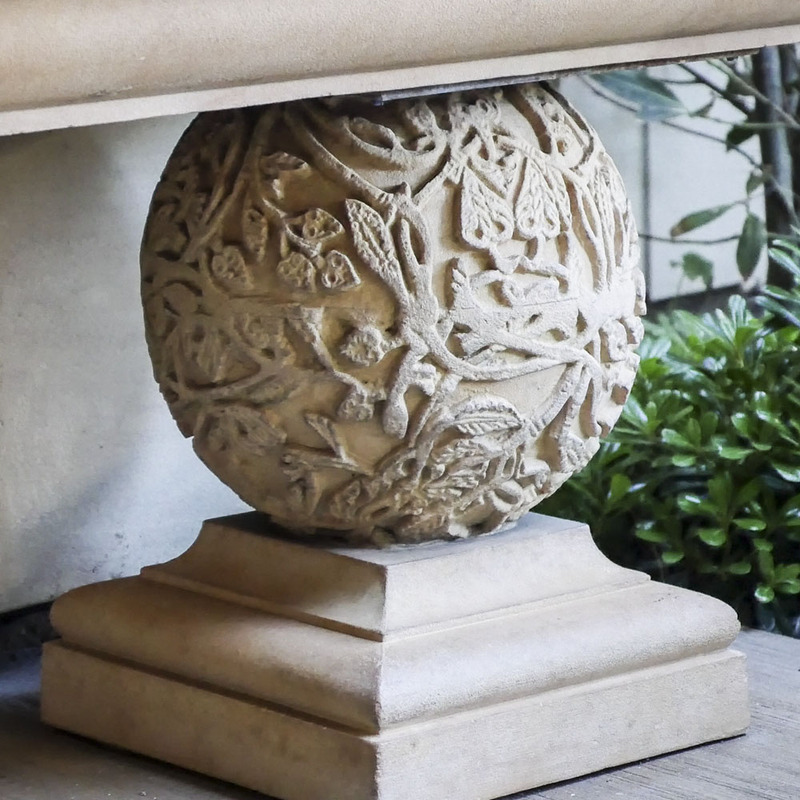 Granada Carved GFRC Spheres for Outdoor Decor | Stone Yard, Inc.
With its skillfully carved floral look the Granada sphere resembles a cast stone topiary, making it the perfect accent piece for garden and conservatory spaces, as well as interior spaces with a floral theme. 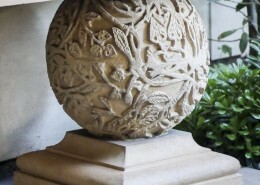 Each Granada decorative GFRC spheres are alive with delicate vines, leaves, and buds, making it a lovely focal point when used alone or in groups. 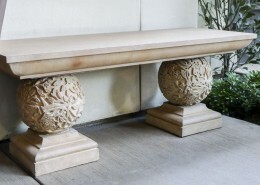 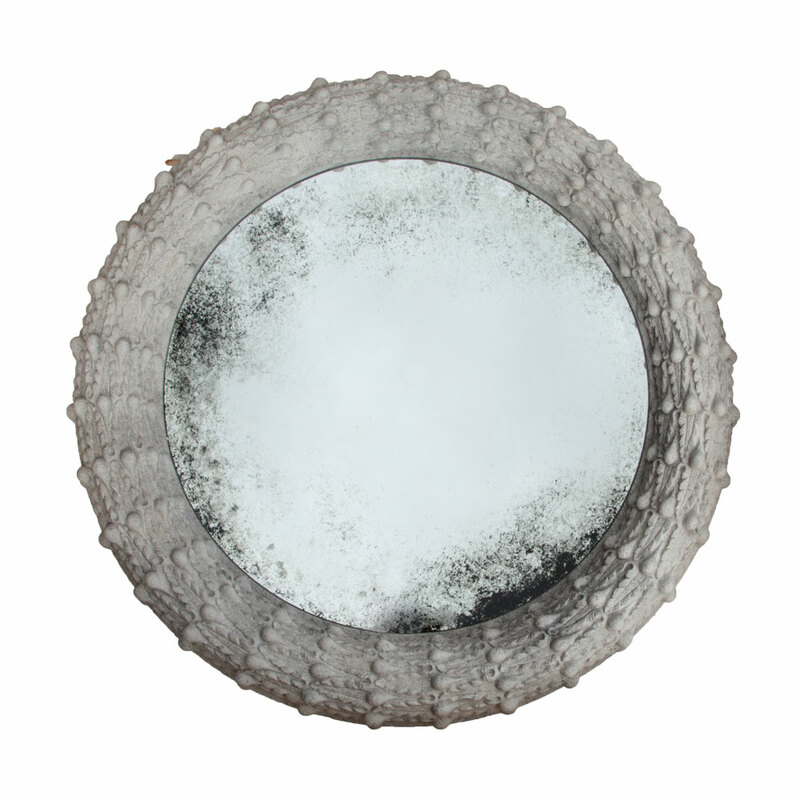 These carved GFRC spheres are handcrafted and finished, making each piece truly original. 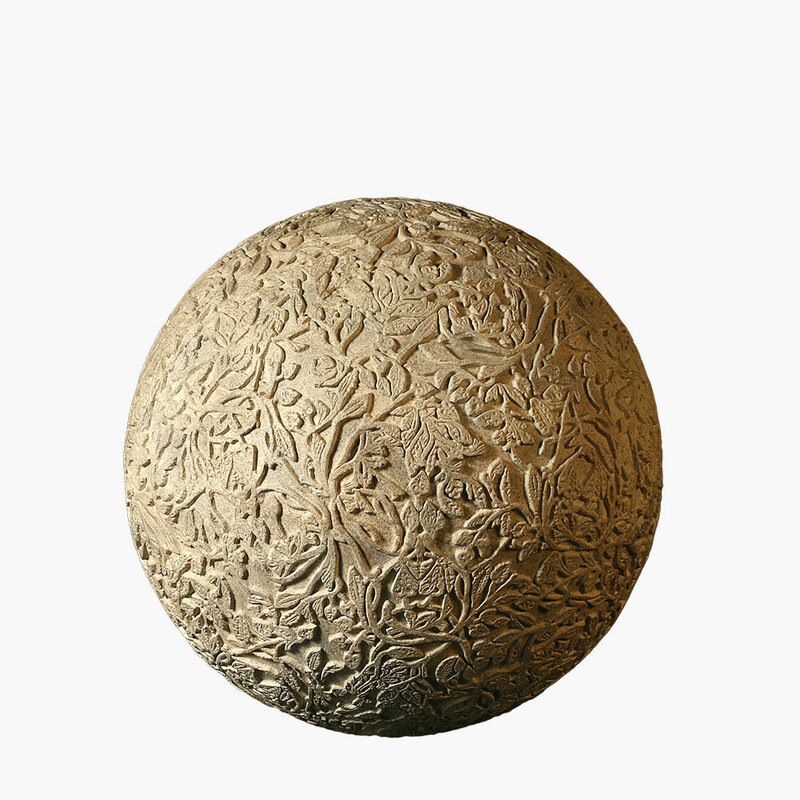 These GFRC/Fiberstone spheres are available in a range of sizes so you can fit them precisely to your application. 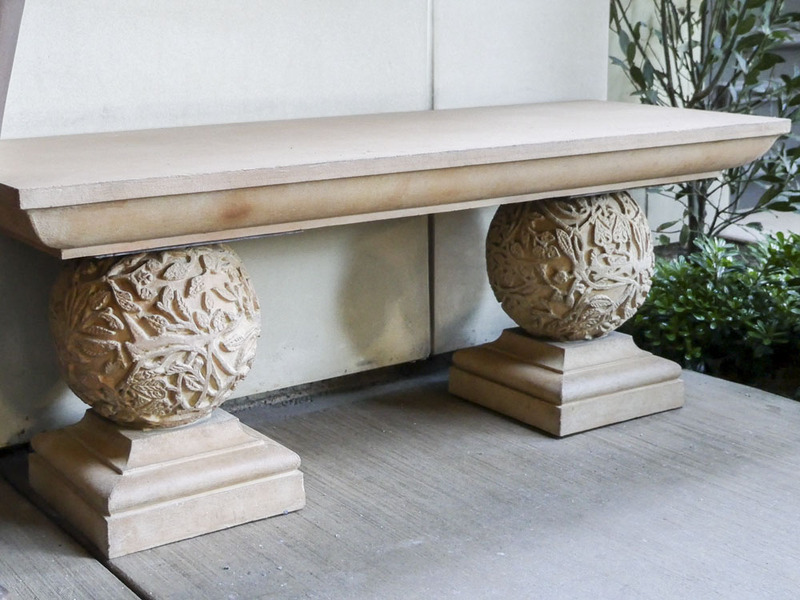 Whether you cluster smaller spheres on tables or garden walls or line large spheres along entryways and garden paths, these spheres are a tasteful way to add a touch of floral flair. 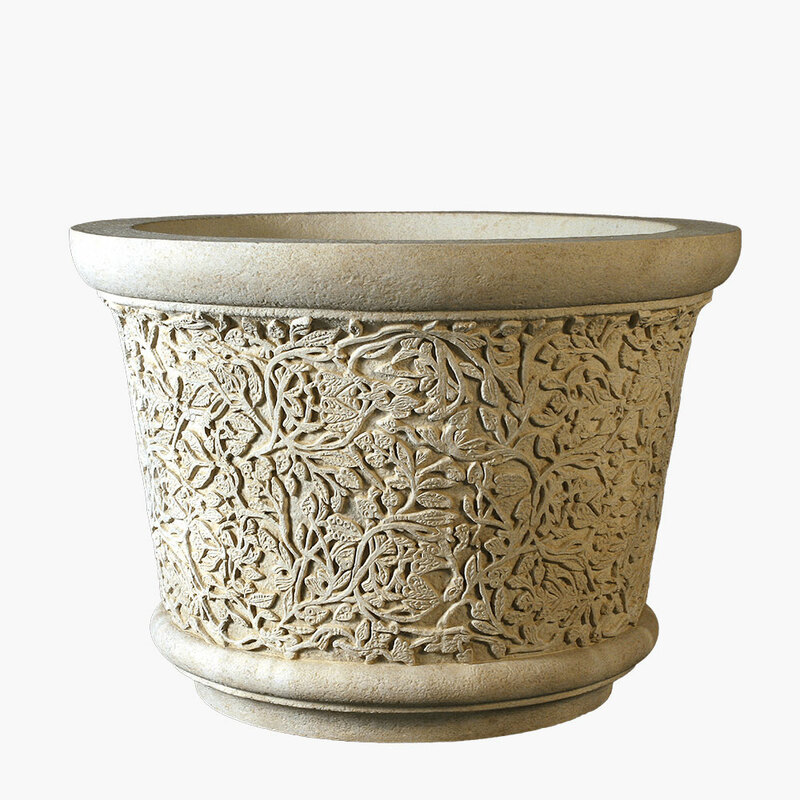 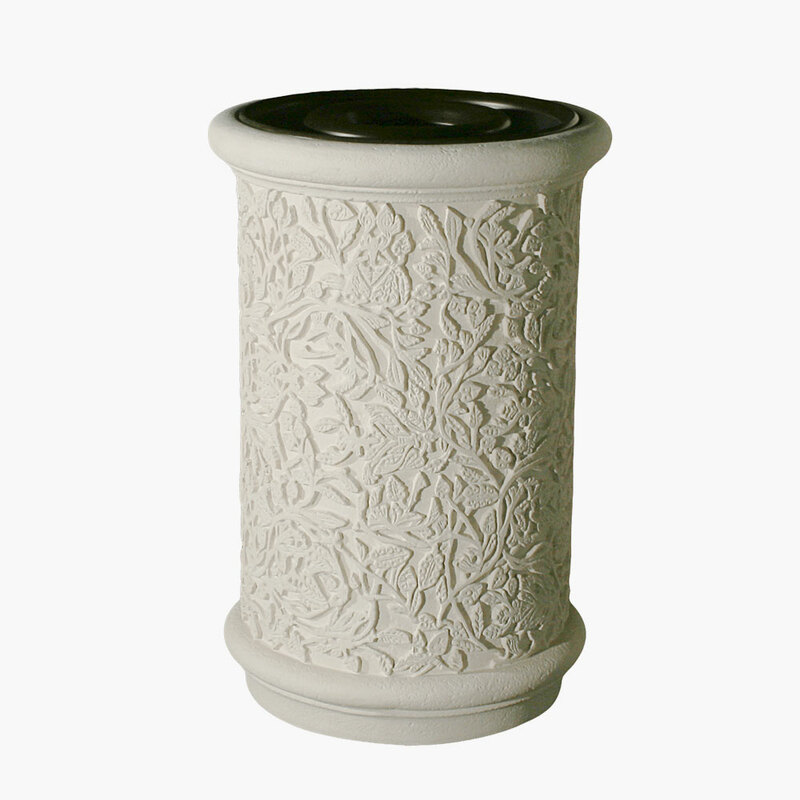 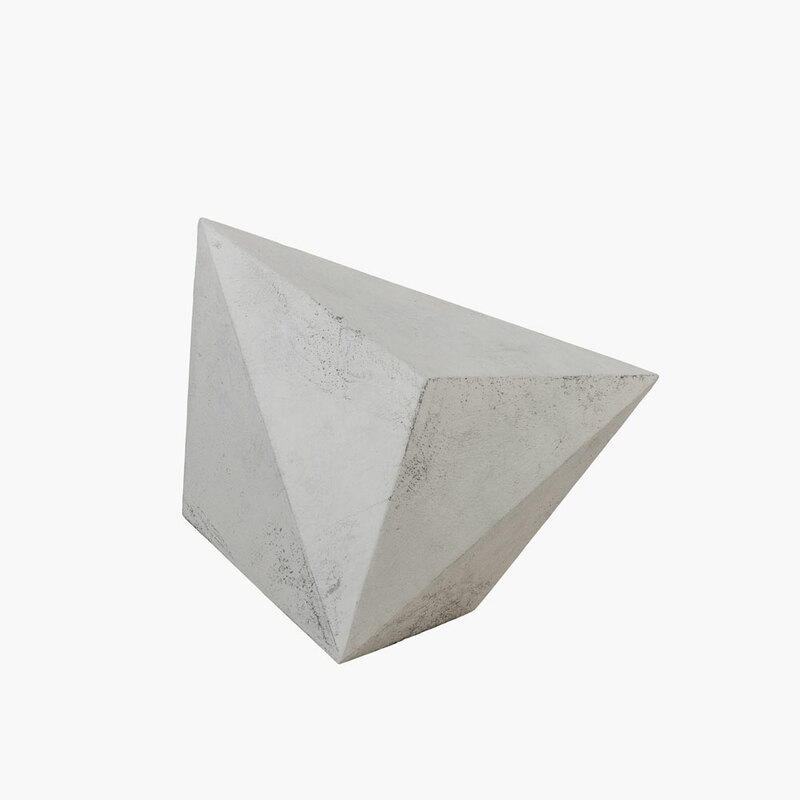 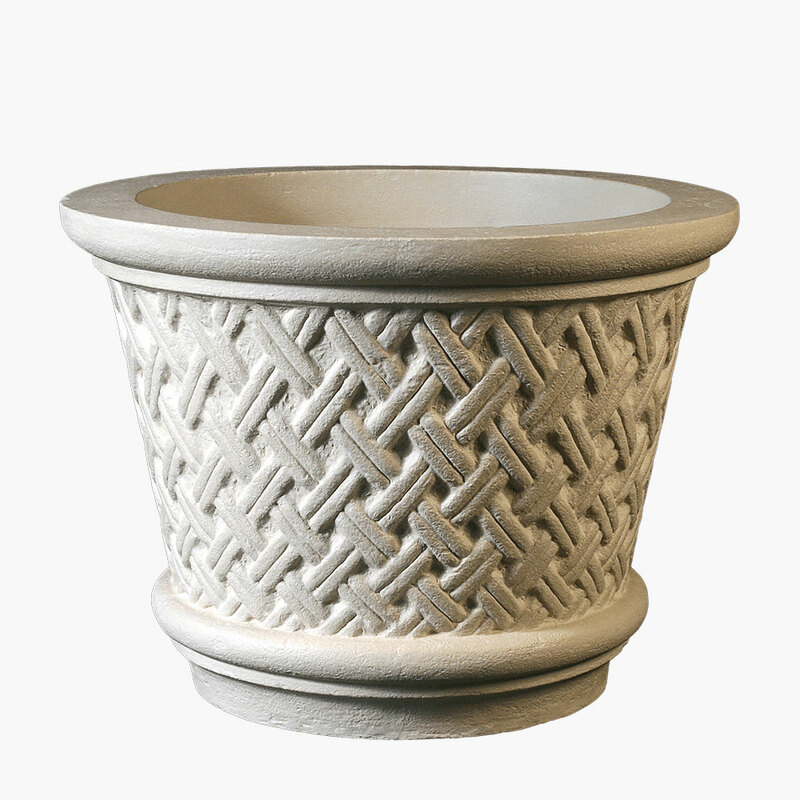 Pair them with the Granada planters and ash/trash urns for complete decorative appeal.